Betsy Pepine, broker owner of Pepine Realty, is committed to building a people-first culture in an industry that often pulls in the opposite direction. 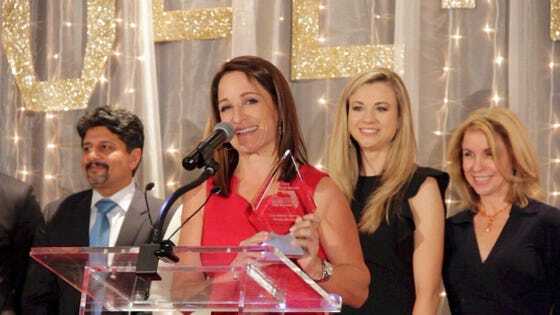 When a recently-divorced Betsy Pepine found herself suddenly single with two young daughters at home, she had a difficult decision to make: stay in the Northeast for her high-powered career in pharmaceuticals, or move back to Gainesville and be surrounded by family. She’d always been the breadwinner in the family, and there wasn’t a pharmaceuticals industry in her hometown. At the same time, both sides of her extended family were in Gainesville, and if they moved back, her children could grow up surrounded by family. After twelve years in pharmaceutical marketing research, Betsy and her daughters moved to Gainesville and started over. Betsy had loved her old job, but she was determined to find a new passion to launch a second career. She’d always wanted to try her hand at real estate, so she decided to give herself two years to make it work. They’d live frugally and rely on savings while she found her footing, and if it didn’t work out, she’d find a job with the marketing department at a local hospital. Business was good, which meant Betsy was constantly working and rarely saw a day off. A few years passed without her taking a real vacation. Exhausted, she decided to book a cruise for herself and her two daughters. Those were the days when cruises didn’t have easily accessible Wi-Fi, so Betsy knew she would be forced to truly unplug and relax. But right before the cruise, her admin broke the news that she was jumping ship to work for one of their biggest competitors. The two of them had worked together for years, and Betsy was heartbroken. Her cruise vacation was looming, and while she knew she couldn’t change the past, she decided to make the most of her time unplugged and learn all she could about company culture. It wasn’t that the tenets of a great culture didn’t resonate with Betsy, it’s that she’d always worked in environments that siloed professional and personal affairs. Betsy gathered all the books about culture that she could find and boarded the ship determined to figure it out. It didn’t take long for the lightbulb to go off. By the end of her vacation, Betsy had realized what was still missing from her growing company, and she set out to start filling in the gaps. Where most brokerages opt for seasoned veterans who can sell quickly, Betsy wanted their organization to prioritize different goals. Pepine Realty had a new mission statement in place to guide their growth: improving and empowering the lives of others; one person, one family, one business, and one community at a time. That meant many of the hiring practices of traditional brokerages wouldn’t work anymore. It sounds great on paper, but Betsy and her team learned the hard way that finding the right hires takes time. It’s especially difficult in the real estate industry, where most employees are independent contractors. Betsy kept trying to tweak their interview process, but it still wasn’t giving them enough time to determine if someone was really the right fit. Frustrated, she decided to create her own way to slow the process down and really get to know every candidate. Through their career nights and licensing classes, Pepine Realty has essentially created its own pipeline for attracting and recruiting talent. It also gives team members a way to give back to the community and share their skills and knowledge with those interested in starting a new career. Most brokerage firms compete to get established agents who will bring volume and don’t require much training. Pepine Realty focuses on finding individuals with the right character traits who share their values, and invests in training them for success. Pepine Realty hosts Career Nights for the community to learn what it takes to become a real estate agent. The most valuable lessons in life are often learned the hard way. From an unexpected divorce to losing a key employee early in the business, Betsy’s turned every misfortune into an opportunity. In just nine years, she’s grown Pepine Realty into an award-winning firm with four locations and fifty-seven agents, all while maintaining a people-first culture in an industry that pulls in the opposite direction. To hear more of Betsy’s story and interviews with other purpose-driven leaders, tune into my Growing with Purpose podcast.